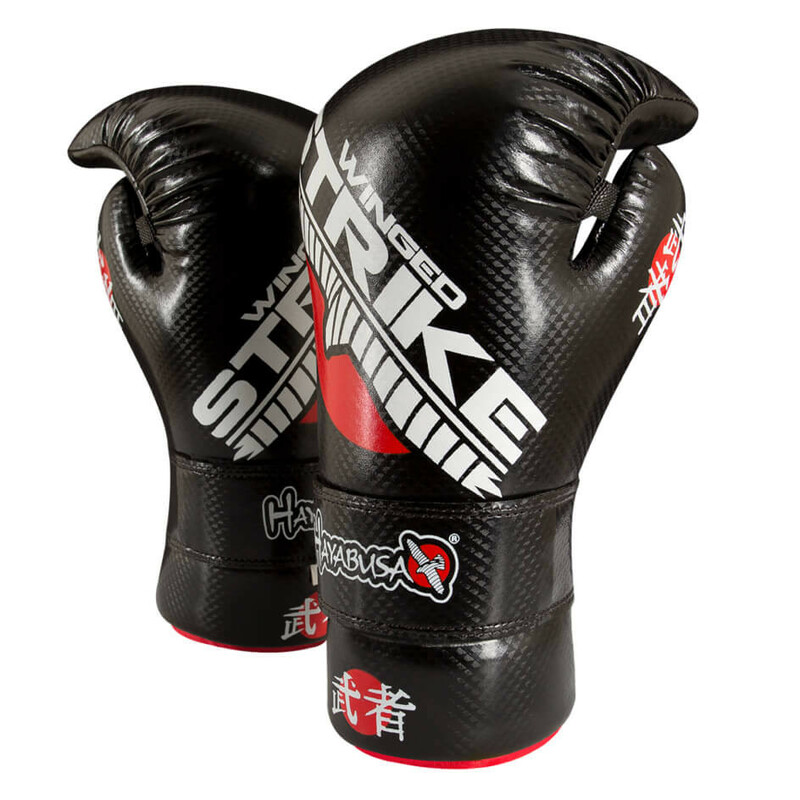 Hayabusa® Winged Strike™ Competition Gloves are constructed to fully-protect hands, knuckles and wrists with a secure and comfortable fit. The full-coverage, ergonomic, and high-density padding ensures striking impact absorption and unrestricted movement. The open palm design of the Hayabusa® Winged Strike™ Competition Gloves allow hands to stay cool and comfortable at all times. The entire Winged Strike™ collection is branded with the traditional Japanese word musha, which is composed of the kanji (read “mu”) meaning “Warrior; Military” and (read “sha”) meaning “Person”. So, musha implies warrior in the Bushido tradition and flawlessly embodies the spirit of the Winged Strike™ collection.